Madagascar’s 5,600 km coastline includes Africa’s third largest extent of mangroves: an estimated 213,000 hectares! These “blue” forests take and store significant amounts of carbon dioxide and support a diverse and in many cases unique range of plants and animals. For residents of coastal communities along Madagascar’s west coast, who are amongst the poorest and most vulnerable to climate change in the world, livelihoods are inherently dependent upon the numerous goods and services associated with healthy, intact mangrove ecosystems. Comprised of a mixture of Malagasy, Canadian, American and Zimbabwean scientists and conservationists, and augmented by the knowledge and expertise of community members, the Blue Ventures Blue Forests (BF) team remains hard at work helping to facilitate community-based mangrove restoration, conservation, sustainable use and alternative livelihoods. Following a national assessment of mangrove dynamics that confirms that massive over-exploitation is a widespread issue, the BF team has chosen a few areas to investigate the potential for payments for ecosystem services (PES) and carbon financing projects. The Ambondrolava mangroves in southwest Madagascar have been degraded, deforested, or both within the last several decades. The remaining mangroves and deforested areas of Ambondrolava, are a potential candidate area for Madagascar’s first mangrove forest carbon project! 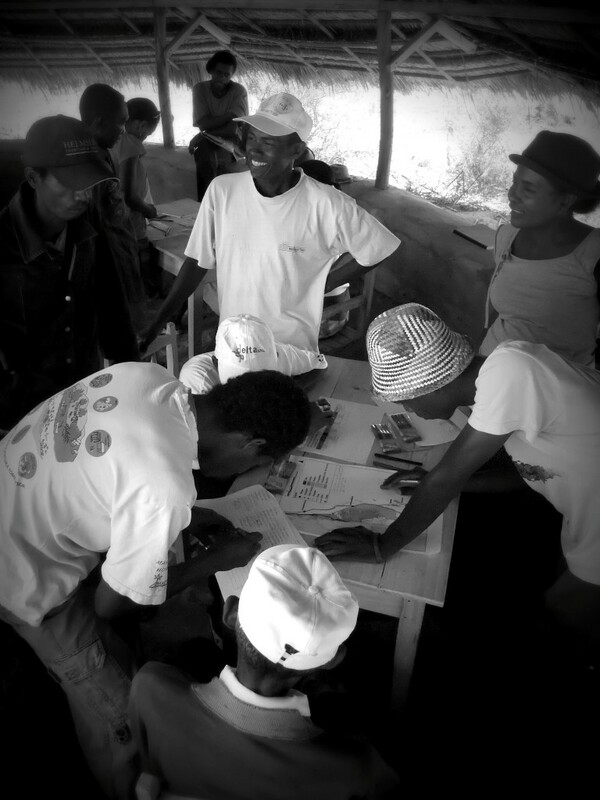 Recognizing the severity of the situation and this promising opportunity to correct it, the BF team has partnered with the Belgian NGO Honko (meaning “mangrove” in Malagasy) and is working hand-in-hand with locals. Recently, we have spent several months consulting with community members to understand land-use and tenure rights in the area, and conduct socio-economic surveys and a comprehensive ecological inventory. The community management association has also taken part in a participatory mapping exercise, which focussed on depicting historic and contemporary distribution of land-cover types and land-use categories. This exercise also involved documenting goals for land-cover and land-use transformations in the coming decade. In addition, at the time of writing, a mangrove biomass inventory is ongoing, which will result in estimates of total forest carbon stocks and work towards local capacity building through training community members in measurement techniques. Using the results of our field work and Honko’s history of mangrove replanting efforts since 2008, we are currently making tangible progress in laying the groundwork for a climate services project, which can link local communities with voluntary carbon markets. A similar initiative is underway by the Mikoka Pimoja project in Kenya, which is developing a mangrove forest carbon project through the UK-based charity, The Plan Vivo Foundation, Honko and the Blue Ventures BF team are working together to do the same! 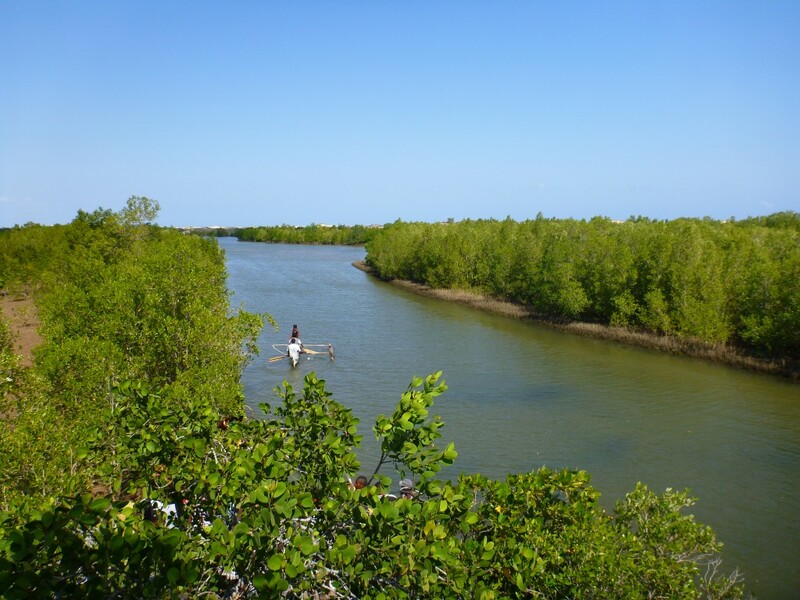 The aim of the BF team’s work in Ambondrolava is to provide technical advice and information to local communities in their efforts to manage and conserve mangrove ecosystem services. By helping communities to adhere to Plan Vivo forest carbon projects, communities may later be able to pursue the registration of their conservation activities as part of a forest carbon project. Carbon revenues can help fund continued mangrove restoration and expansion, sustainable use, and the implementation of various alternative livelihoods projects, all of which can greatly benefit the health and security of local communities who will depend on mangrove forests for decades to come. The key to the success of these projects is community ownership – in the end it is the communities that, as custodians, will reap the benefits of conservation activities or forest carbon projects. Blue Ventures Blue Forests team believes that our role is to support communities in providing technical advice, and linking communities with partners, to maintain healthier mangrove forests which support the traditional lifestyles on Madagascar’s west coast, and so many other communities across the globe!